Those who are actively engaged in researching their family history know the joys obtained when information about an ancestor or ancestors that perhaps once seemed unattainable is discovered, and new light is shed upon the origins of the family. Finding out who the forefathers of a family were can be both interesting and a lot of fun, but that is not the main reason The Church of Jesus Christ of Latter-day Saints (inadvertently referred to as the “Mormon” Church by the media and others) has the largest genealogical library in the world. Nor is it the reason that the Church’s 15 million members are encouraged to research their family history. The doctrines of The Church of Jesus Christ of Latter-day Saints teach that marriage and families can be uninterrupted beyond this mortal life. This can only occur when families are sealed and united for all eternity in one of the Lord’s sacred temples around the world. Knowing that their families can be together throughout eternity is the driving force that causes faithful Latter-day Saints to pursue their quest to find their kindred dead. To aid researchers in their quest, The Church of Jesus Christ has made available such tools as Family Search, and a new version of Family Search called FamilySearch Family Tree. The vision statement of FamilySearch reads: “Learning about our ancestors helps us better understand who we are—creating a family bond, linking the present to the past, and building a bridge to the future.”  With that vision in mind, Family Search is readily available and offers personal assistance at over 4,500 Family History Centers in 70 countries, including the Family History Library in Salt Lake City, Utah, with a database of over 3 billion names from all over the world. By November 2009, the New FamilySearch was available to church membership worldwide, except for members in the five Asian temple districts. 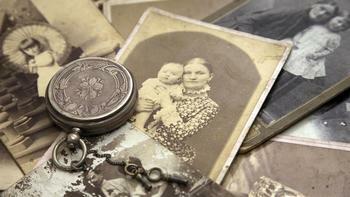 The FamilySearch.org website offers free access to digital images of genealogical records. These images can be searched along with a number of databases. FamilySearch.org also contains the catalog of the Family History Library in Salt Lake City, Utah. The library holds genealogical records for over 110 countries, territories, and possessions, including over 2.4 million rolls of microfilmed genealogical records; 742,000 microfiche; 310,000 books, serials, and other formats; and 4,500 periodicals. The microfilm and microfiche can be ordered and viewed at over 4,000 library branches (called Family History Centers) worldwide. FamilySearch also offers research help through the FamilySearch Wiki and Forums. Searching Holocaust victims or celebrities is forbidden and results in account suspension . On Sunday, 30 June 2013, FamilySearch will be turning-off the ability to make changes to their (old) new.FamilySearch.org website. Family history researchers who currently use versions 4, 5, and pre-6.1 of the RootsMagic software will no longer be able to write data to new.FamilySearch.org after this date. However, the 6.1 release of RootsMagic is fully compatible with FamilySearch Family Tree, the replacement for new.FamilySearch.org, and is the first software that has been certified to share data with FamilySearch Family Tree. Support for multiple assertions on facts, allowing people to "agree to disagree." Source citations, including links to source images. Documents scanned from the Church's 2.4 million rolls of microfilmed vital records, from around the world, will eventually be linked to individuals in the system. These films are currently being scanned and indexed. Several features specific to the membership of the LDS Church, facilitating Mormon temple ordinance work. A one-world pedigree of linked families that will operate wiki style, with anyone able to add comments and information. A mapping utility that maps locations where an individual has resided (a mashup of the new FamilySearch website and Google Maps showing pushpins for events in a person's life). Mother Teresa is quoted as having said, “loneliness and the feeling of being unwanted is the most terrible poverty." Family history research and temple work help to alleviate this feeling unwanted and separated from loved ones, and FamilySearch Family Tree is an invaluable tool for gathering the necessary information to accomplish the work. This page was last edited on 28 October 2013, at 12:00.